With customer satisfaction consistently over 94% during the past 10 years, the UK’s leading lighting controls manufacturer CP Electronics, a brand of Legrand Electric Ltd, has shown a long-term commitment to quality. That dedication has now been recognised by the British Standards Institute (BSI). 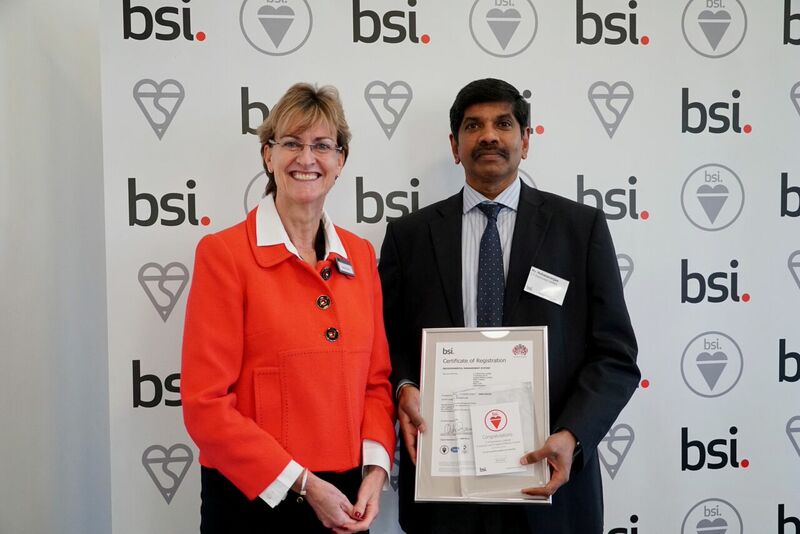 Mo Mohanaranjan, Quality and Environmental Manager at CP Electronics, was presented with a long-service award by the BSI at a ceremony in February. At the same time, he accepted the ISO 14001/2015 certificate – the latest in a long line of accreditations CP Electronics has achieved. CP Electronics currently has a full suite of the major BSI accreditations – ISO 9001, 14001 and 18001, representing quality, environment and health & safety. Maintaining the standards requires an ongoing process of tracking levels of quality and service. Mo’s team uses a variety of tools, including internal audits and customer questionnaires, to monitor service levels. One metric that has stayed consistently high is customer satisfaction, which has been 94% or higher every year for the past decade. 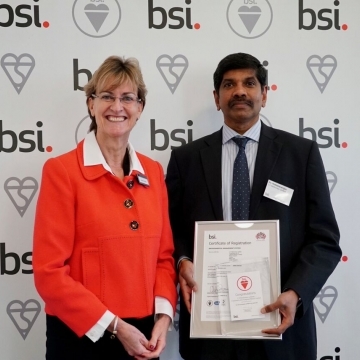 As one of the first manufacturers in the sector to recognise the importance of British Standards, CP Electronics achieved its first BSI accreditation (ISO 9000) in 1999. Since then, the number of employees working in the business has grown tenfold. “To see that growth but to maintain the same high standard of quality is testament to the hard work of the team here. There is always room for improvement and that motivates us every day,” said Mo Mohanaranjan.